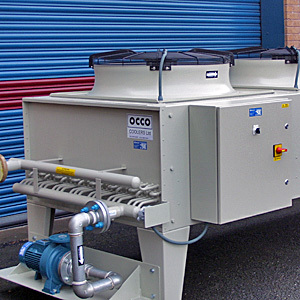 Occo's range of flat-bed coolers are for closed circuits and dry air cooling of large heat loads, needed to replace evaporative cooling towers. Due to large dimensions, which are variable to fit into available space, they usually have a horizontal radiator with fans on top blowing upwards. Similar versions may also have a vertical radiator where the site has limited floor area. The high pressure radiators (typically 10 Bar) in various materials, including stainless steel tubes and fins, cover all common water system layouts and many process fluids. Standard fan motors are fully weatherproof. EExd fan motors are also available. All size selection is done by computer to find the optimum circuitry through the radiator. There are very low noise options available, ideal for residential areas like supermarkets, air conditioning systems, and hospitals. 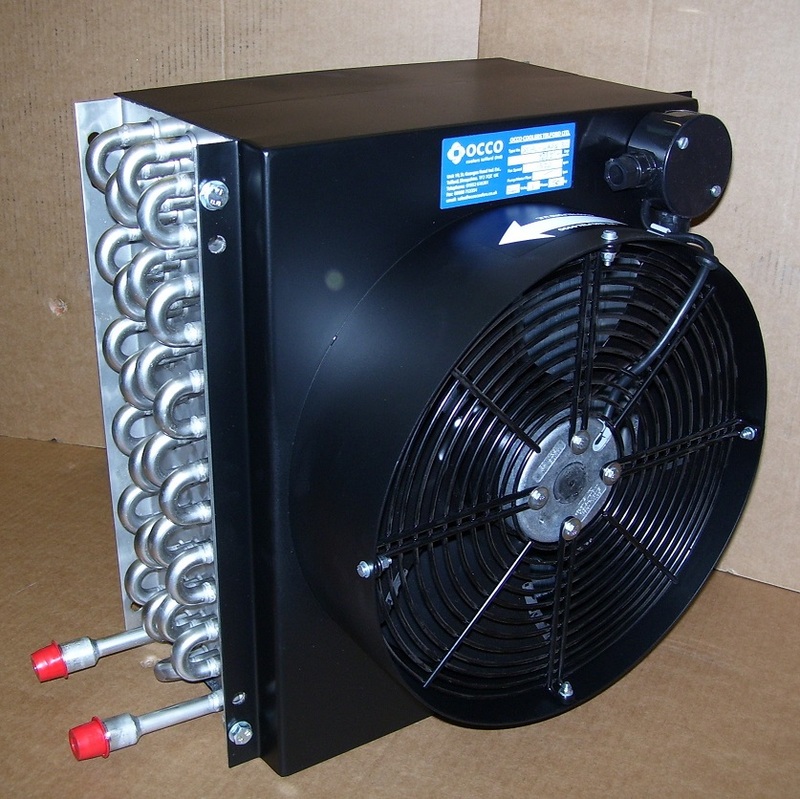 These units are also ideally suited to many industrial applications including compressor cooling and furnace cooling. The length of the cooler ranges from 1500mm to 9000mm dependent on the number of fan units used. The width of the cooler ranges from 1300mm to 2400mm.